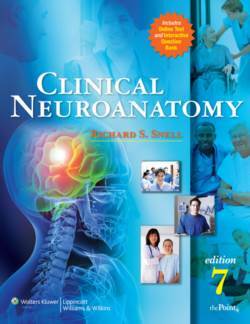 Organized classically by system, this popular text gives medical and health professions students a complete, clinically oriented introduction to neuroanatomy. Each chapter begins with clear objectives, includes clinical cases, and ends with clinical notes, clinical problem-solving, and review questions. Hundreds of full-color illustrations, diagnostic images, and color photographs enhance the text. This Seventh Edition features new information relating the different parts of the skull to the brain areas, expanded coverage of brain development and neuroplasticity, and updated information on stem cell research. A companion Website includes the fully searchable text and 454 USMLE-style review questions with answers and explanations.